This course is designed to enhance the knowledge in the fundamentals of chemical process safety. This course could be done by anyone who are interested in improving chemical process safety, including chemical and mechanical engineers and chemists. 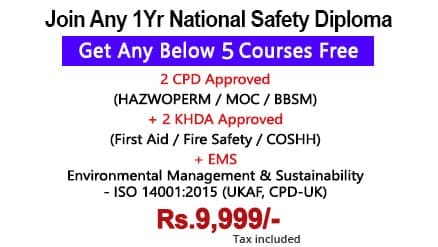 The primary objective of this course is to encapsulate the important technical fundamentals of chemical process safety. The emphasis on the fundamentals will help the students and practicing scientists to understand the concepts and apply them accordingly. This course will cover a significant quantity of fundamental knowledge and technology. In the current scenario we believe that chemical process safety should be part of every undergraduate and graduate course in chemistry and chemical safety should be part of every undergraduate and graduate course in chemistry and chemical and mechanical engineering just as it is part of all the industrial experience. Keeping this scenario in mind this new course has been developed with an insight of this and specific attention has been given to include topics like previous accident reports and its studies, toxicology, fires and explosions, designs to prevent fires and explosions, risk assessment etc.